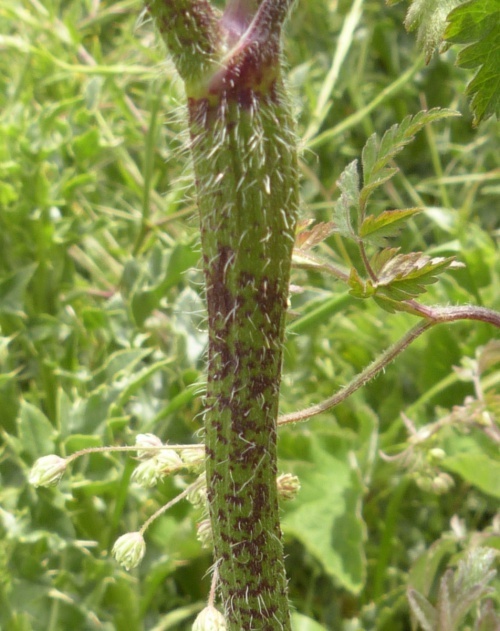 Medium tall rather bristly plant. 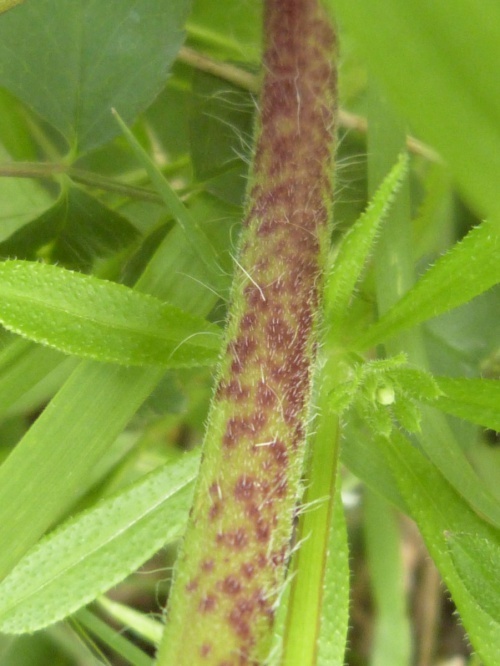 Stem erect, purple or purple spotted. 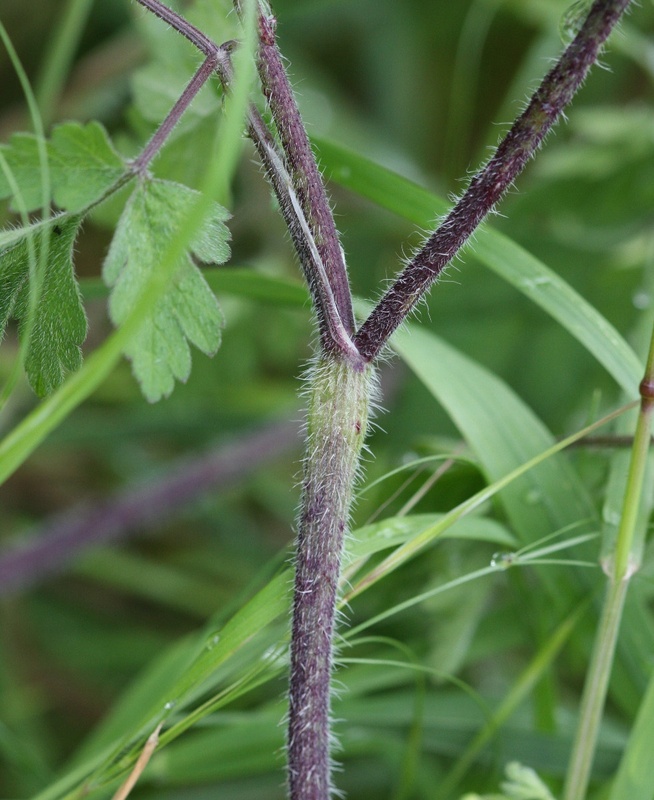 Leaves 2 or 3 pinnate, dark green, but eventually turning purple, leaflets oval, toothed. 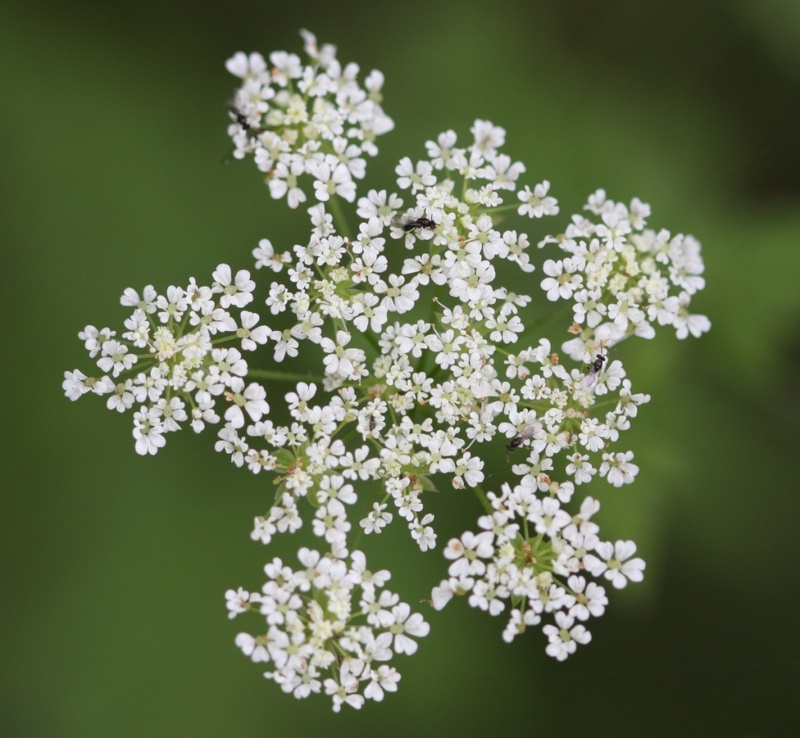 Flowers white, 2 mm in compound umbels, which are nodding in bud. 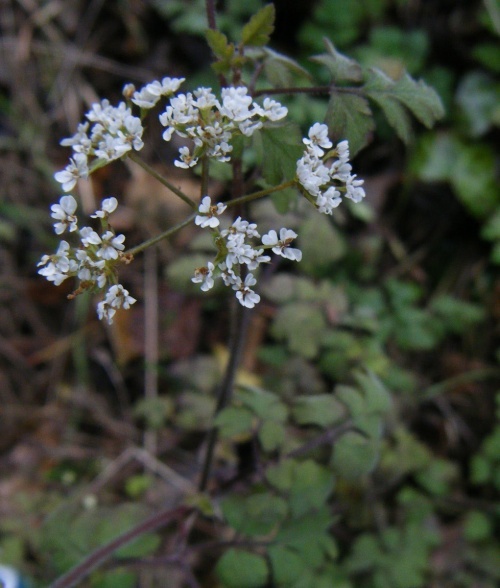 With hairy bracteoles, but without bracts. 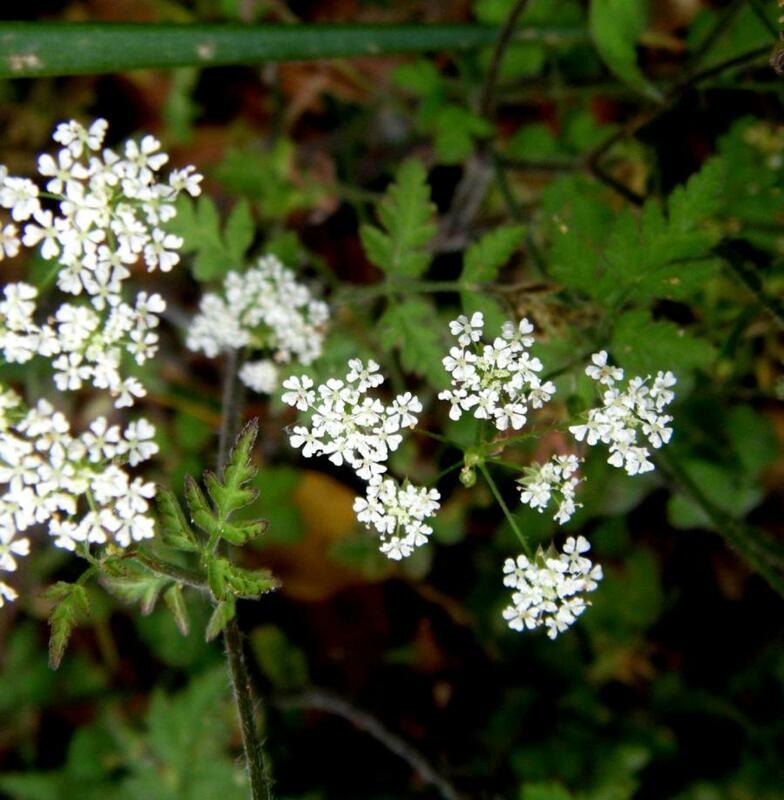 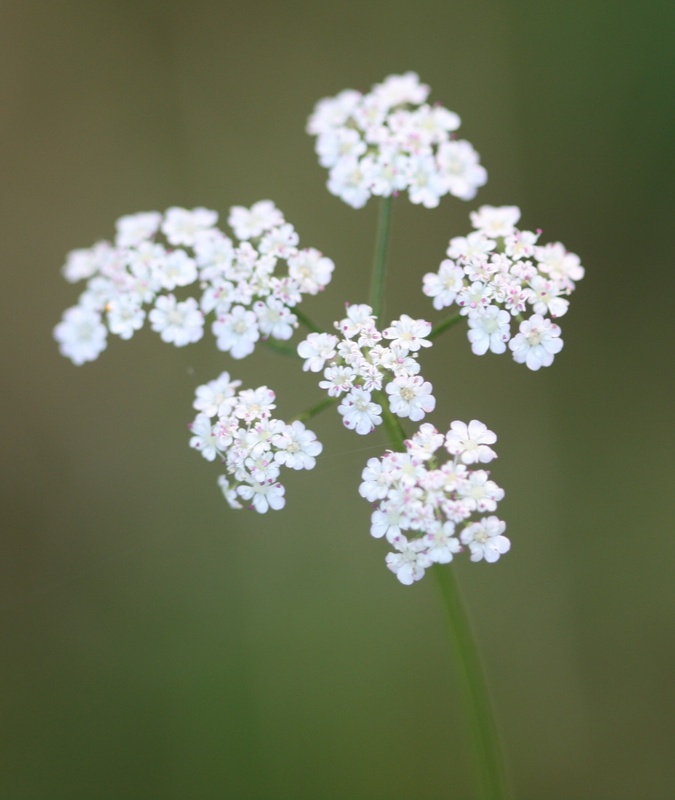 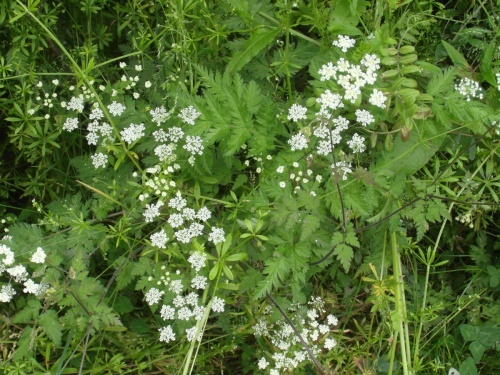 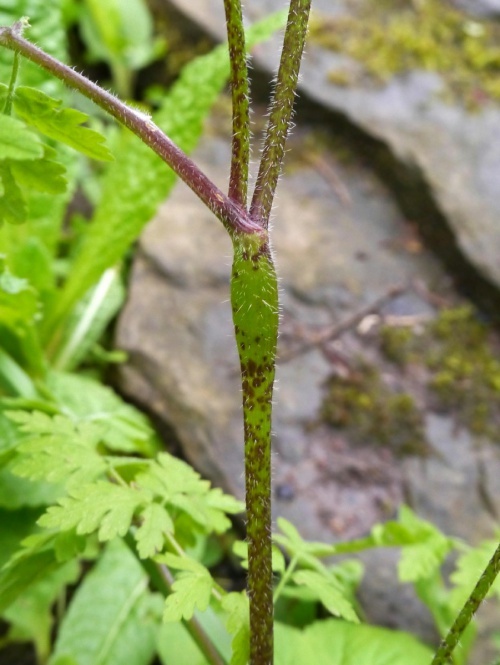 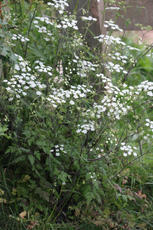 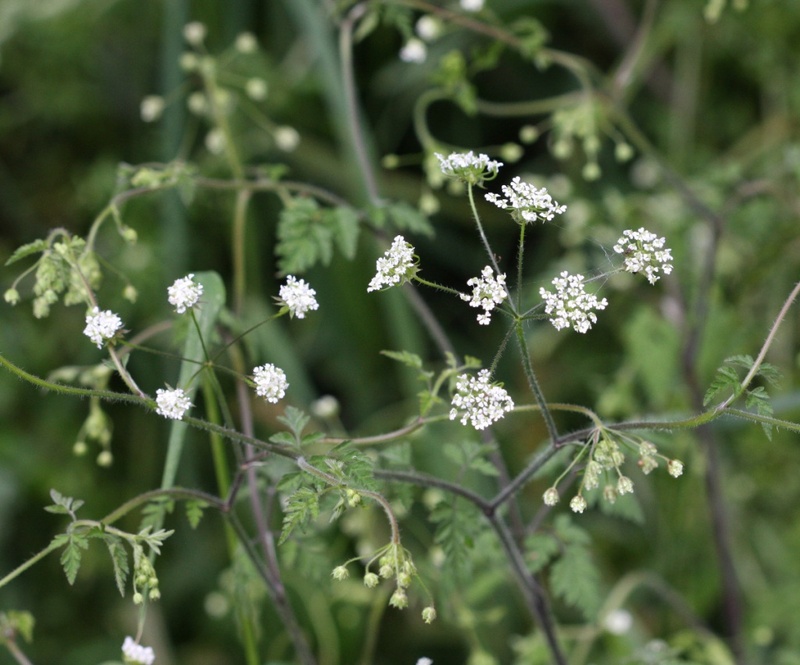 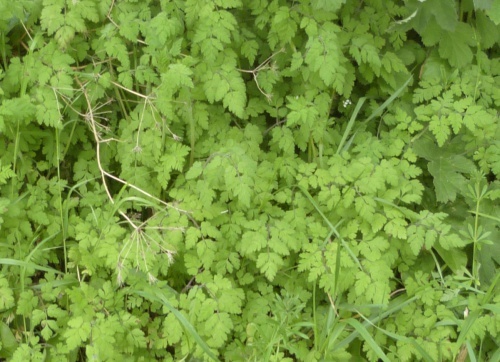 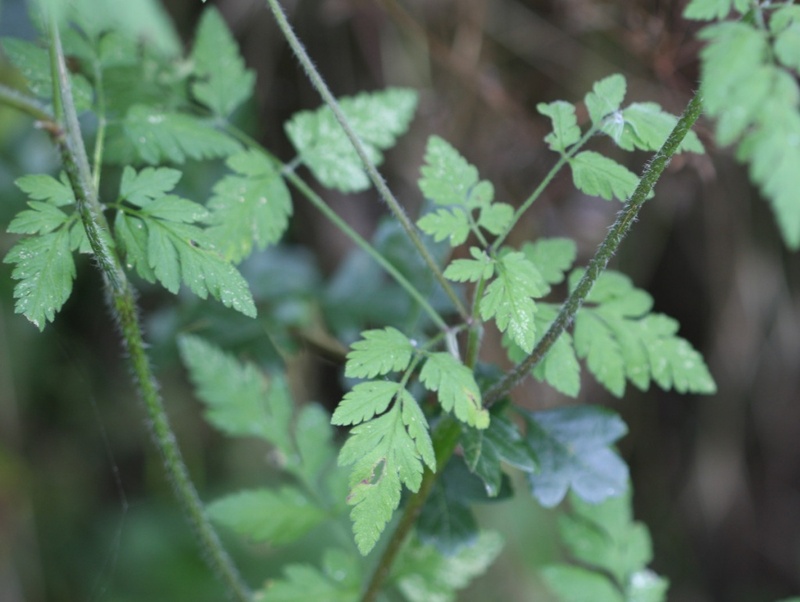 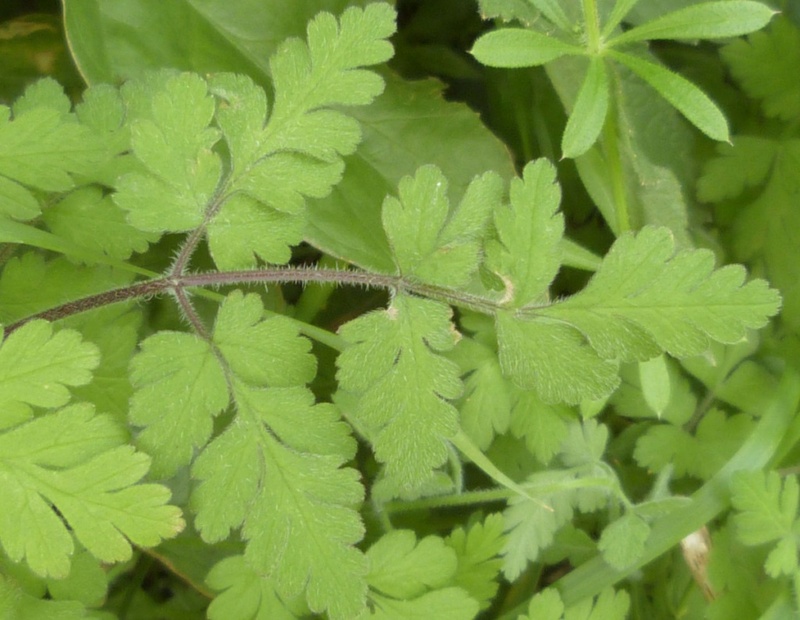 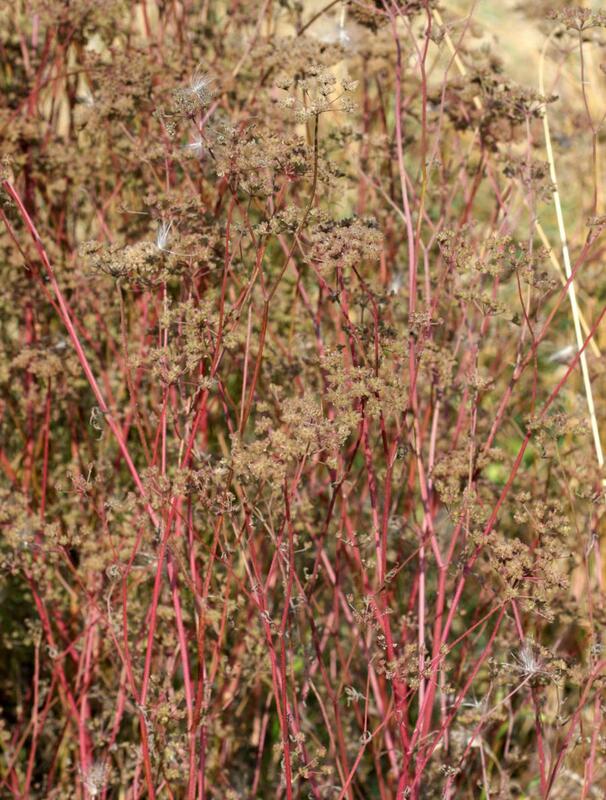 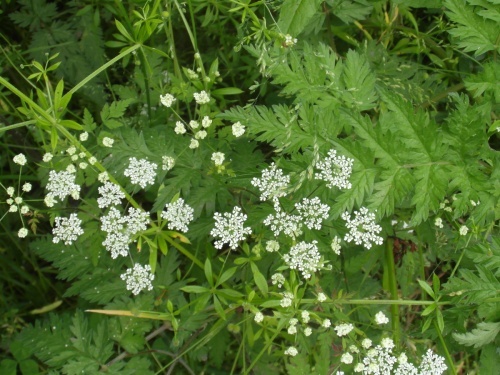 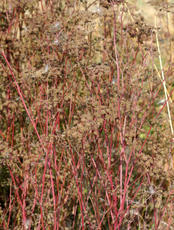 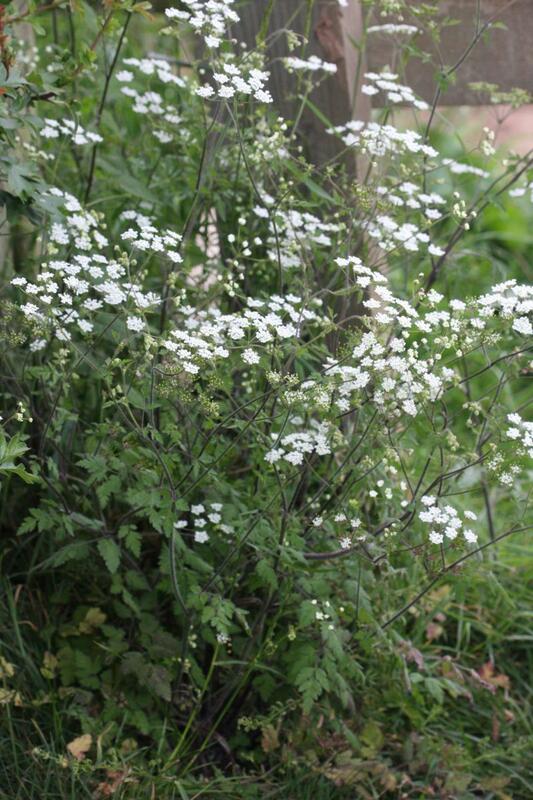 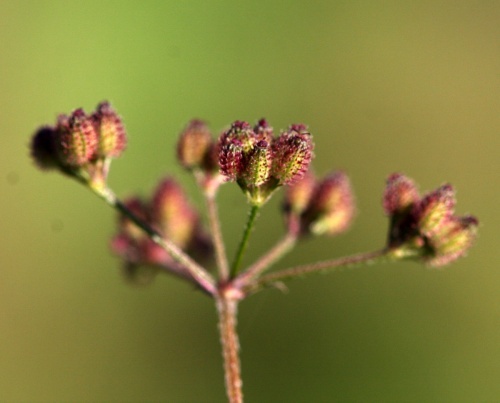 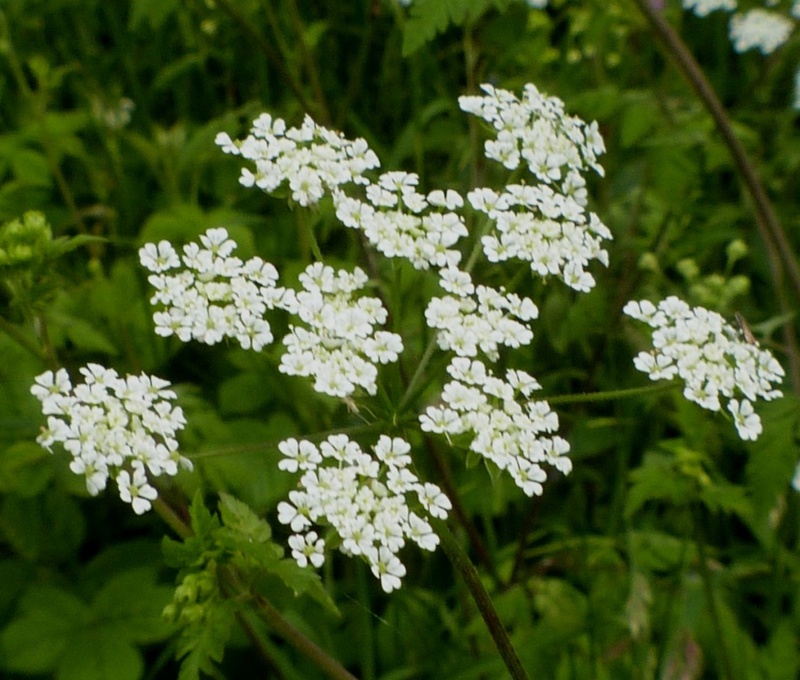 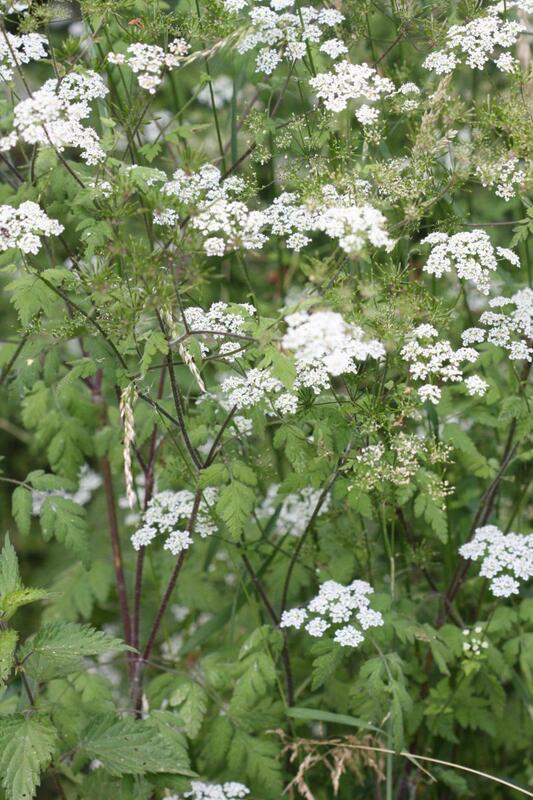 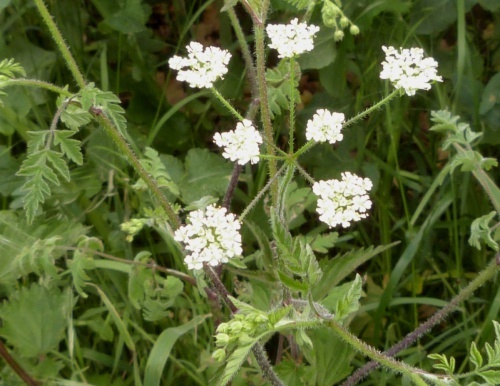 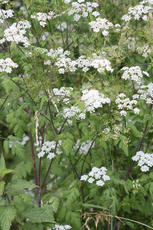 Similar to Cow Parsley and Upright Hedge Parsley but distinguished by the 'rough' and often reddish stems. Rough grassland and roadside verges, preferring shady places. 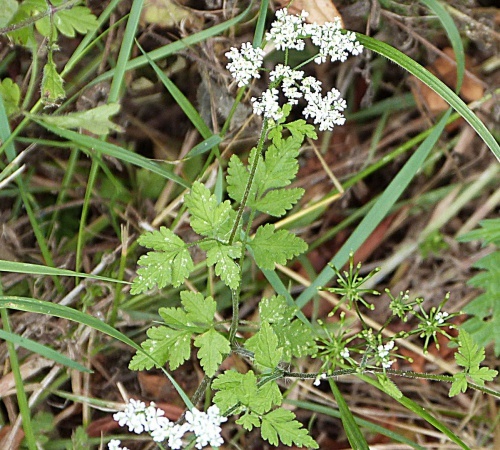 Fairly common in England and Wales, less so in Scotland. Fairly common in Leicestershire and Rutland. 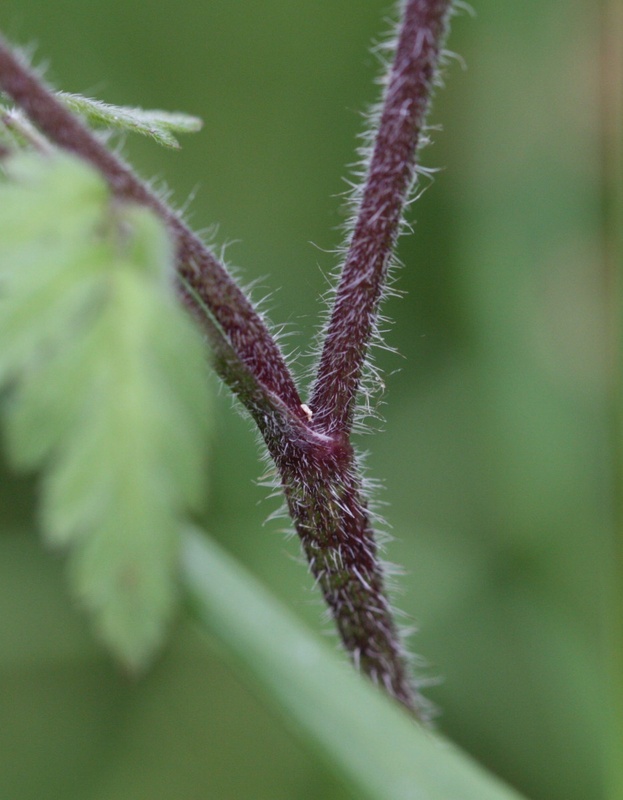 In the 1979 Flora survey of Leicestershire it was found in 366 of the 617 tetrads.